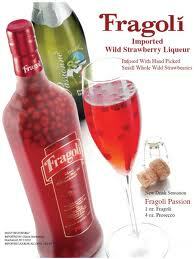 In its sleek frosted bottle with wild miniature strawberries actually floating to the top, Fragoli Wild Strawberry Liqueur has become nothing short of a sensation in New York and LA. Now, the hot brand is creating a stir in Miami with a full-blown campaign and exciting new twist on the classic Mojito, which has already captivated bartenders at some of the town’s trendiest spots. The exotic new cocktail blends Fragoli with VeeV Acai Liqueur, club soda, lime and mint. Much to the delight of its importer, Classic Marketing Co., it has even appeared as a featured cocktail at all 16 bars at Gulfstream Park. According to Mark Ventresca, Hospitality Manager at Gulfstream, “we featured the Fragoli Mojito on opening day and it was a massive hit!” Prime Italian, DeVito’s and the Miami Four Seasons Hotel have also embraced the hot new drink.